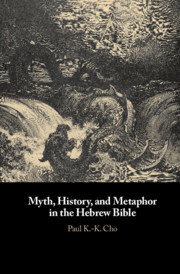 Myth, History, and Metaphor in the Hebrew Bible Cho Paul K.-K.
Add to cart the livre of Cho Paul K.-K.
1. Introduction; 2. Myth as story and metaphor; 3. The sea myth; 4. The sea myth and creation; 5. The sea myth and exodus; 6. The sea myth and exile; 7. The sea myth and eschaton; 8. The sea myth and the Hebrew bible. Paul K.-K. Cho is an assistant professor of Hebrew Bible at Wesley Theological Seminary, Washington, DC. His articles have been published in Catholic Biblical Quarterly and the Journal of Biblical Literature.